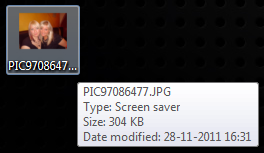 On a Microsoft Windows computer a .SCR file is a screen saver. As screen savers are simply computer programs they can be used to insert a virus into your computer. SCR viruses usually come as an attachment to an e-mail. The text urges the recipient to click the attached file by promising perhaps a funny cartoon or enticing picture. Once clicked the virus then installs itself onto your computer. As the SCR file pretends to be something else it is another example of a Trojan. Perhaps the most famous example of an SCR virus is the SOBIG worm, which installed software to send spam. 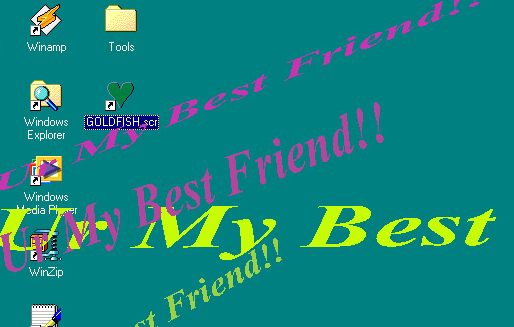 Another well-known example is the Friendship Screen Saver, also known as Yaha.E, which is shown above. However the well-publicised Budweiser Frogs screen saver virus turned out to be a hoax. In November 2011 ZDNet reported that a new worm was spreading across Facebook by leveraging either stolen account credentials or a rogue app. When downloaded it tempts the user into opening it by masquerading as a screensaver with a thumbnail image of two blonde women. When the file is opened, it attempts to download further malware, including a popular Trojan called Zeus which can take over your computer and/or attempt to steal your banking information.